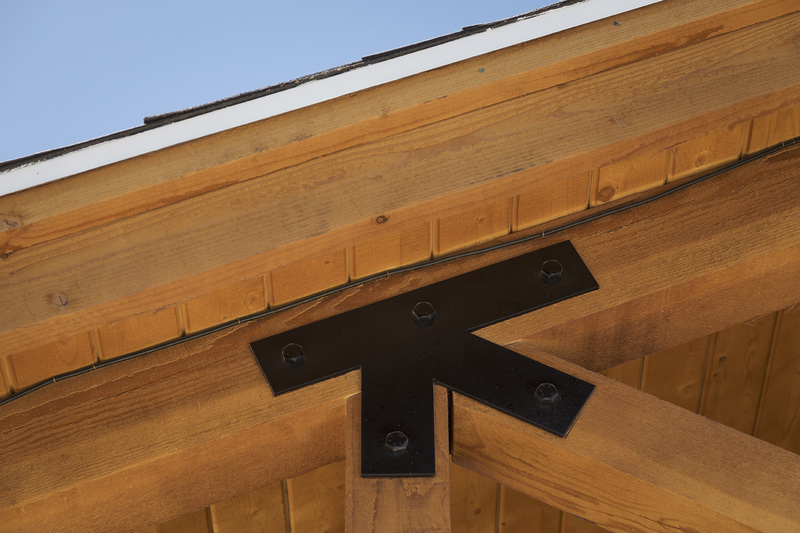 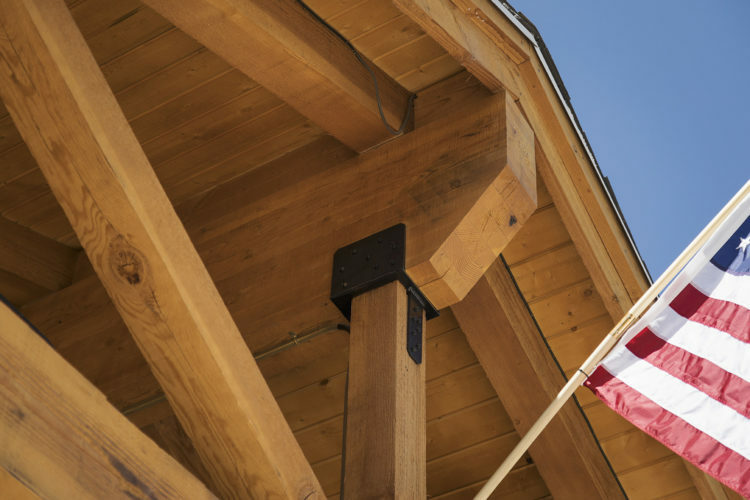 The owners wanted to elevate and add functionality to their outdoor living space using rough sawn rafters and trusses. Patio Cover – AFT constructed a 26′ x 30′ patio cover providing a shaded area for a break from the Arizona sun. 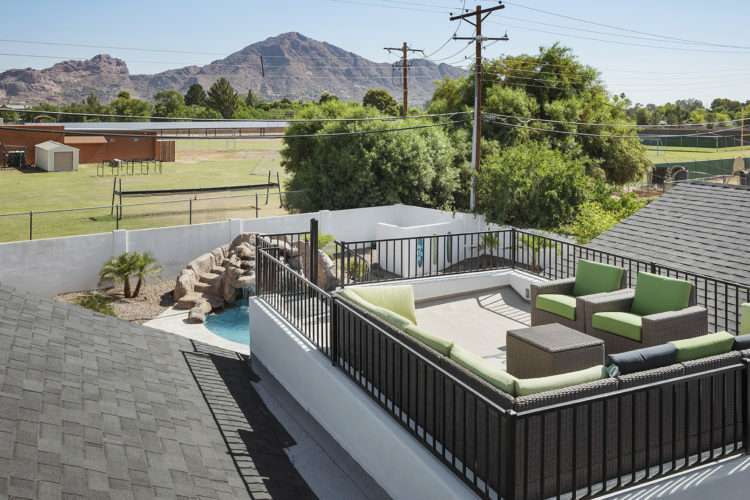 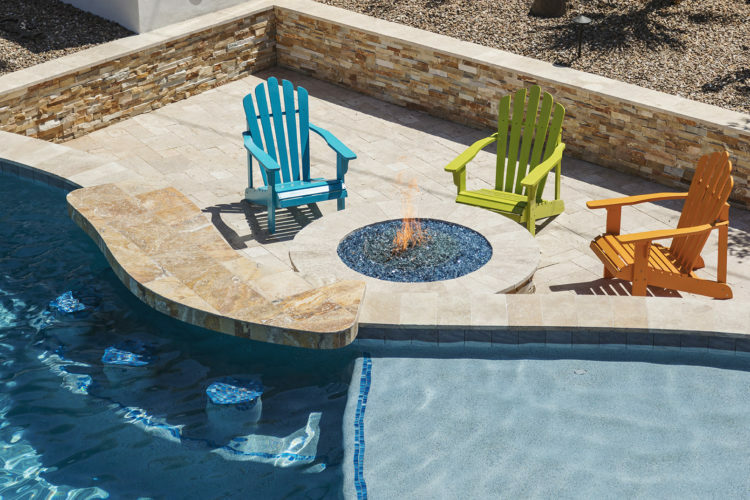 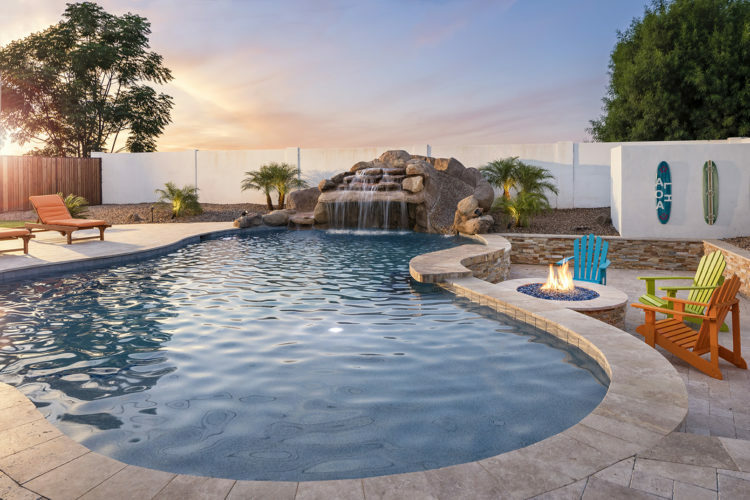 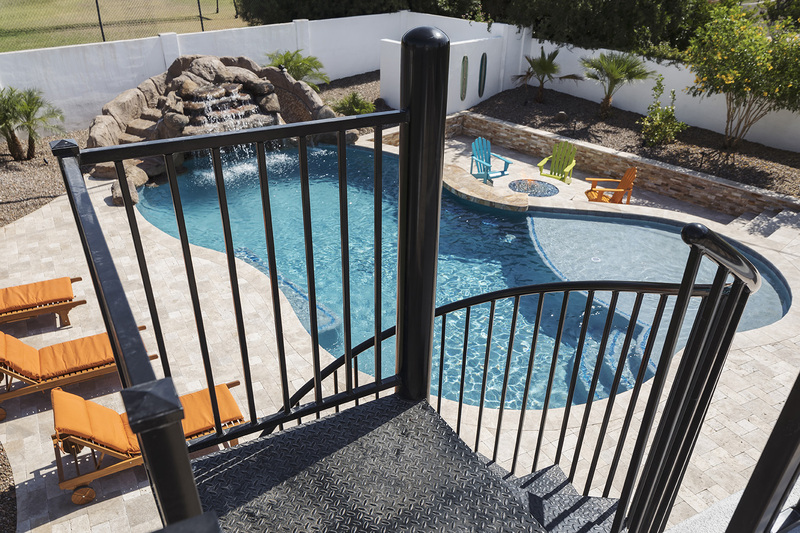 Walk/View Deck – AFT added an elevated 12′ x 16′ walk deck complete with spiral staircase where the owners can enjoy views of Camelback Mountain. 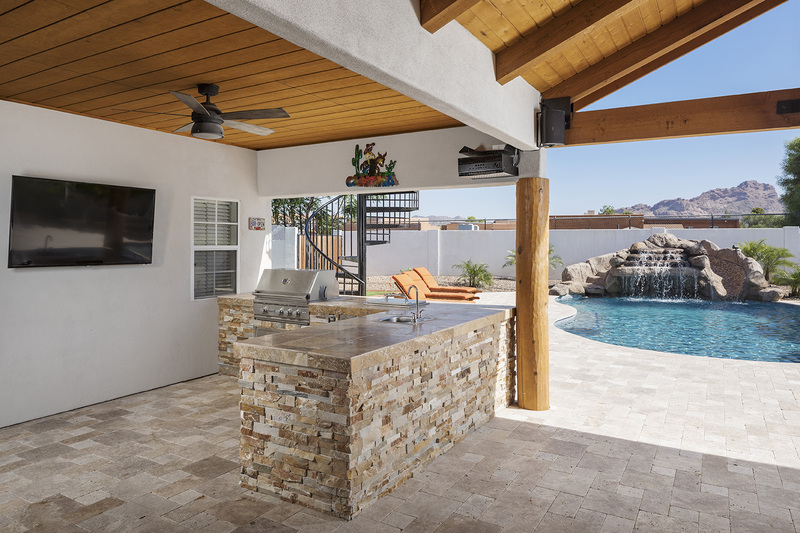 The walk deck also provides the ceiling/roof of the outdoor kitchen, extending the covered area beyond the 26′ x 30′ new patio. 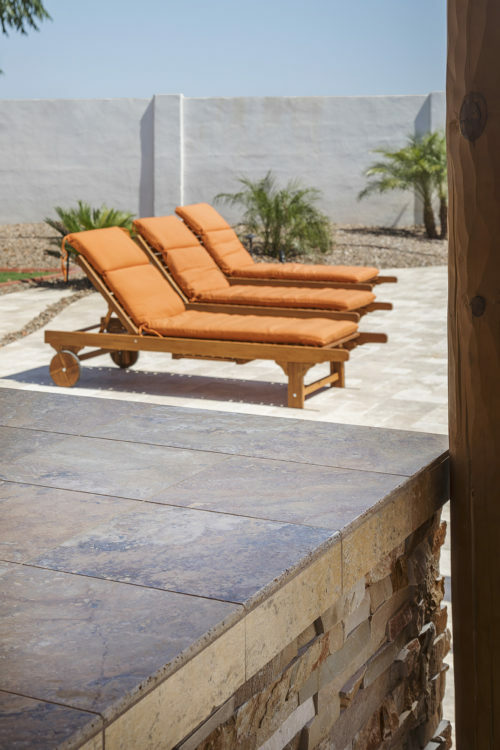 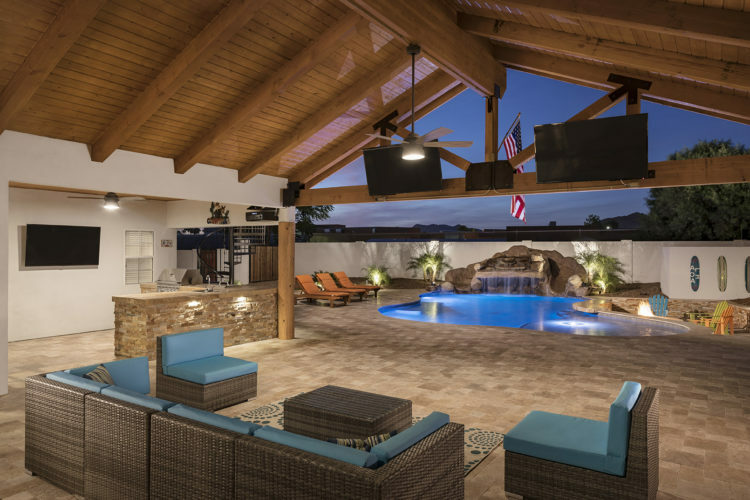 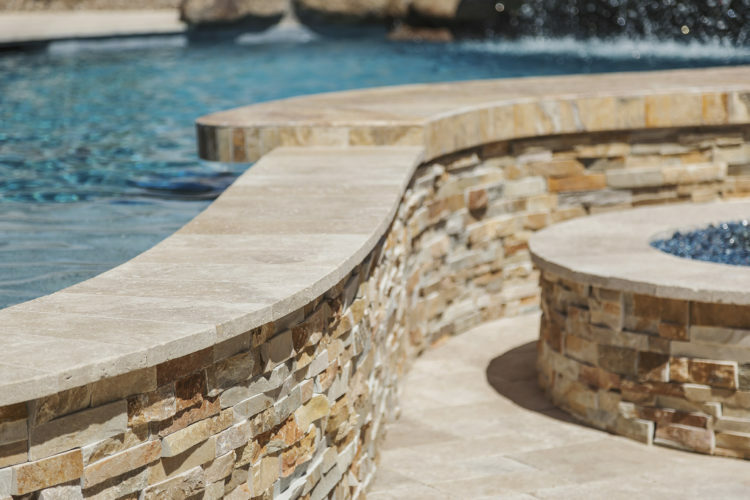 Entertainment Space – The new covered patio space incorporates three televisions, a sound system, outdoor kitchen, and ample seating making it perfect for entertaining guests, watching the game, or enjoying an outdoor movie viewing. 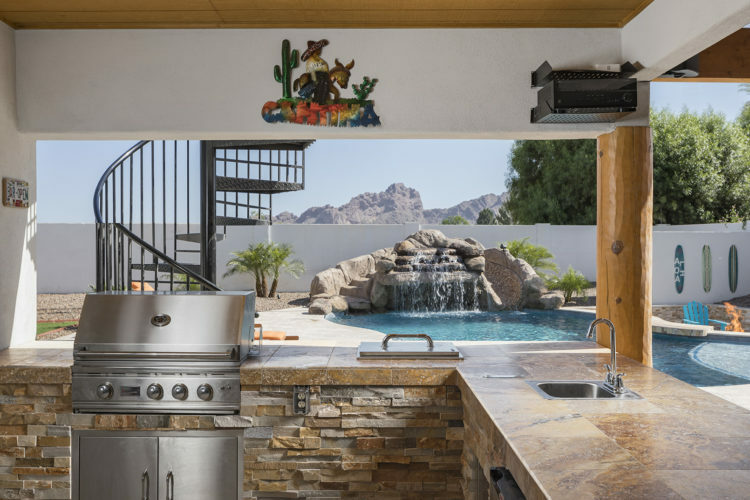 By adding over 780 square feet of covered patio and an elevated view deck, AFT was able to assist the owners in maximizing their outdoor living and entertainment space.